SurreyKitchen was asked to be part of a focus group for Essential Cuisine a company that provides the finest stocks, glaces and gravies to the Foodservice industry. Impressed by the glaces, a range of fine, British made reductions, I was keen to see if this product really could make ordinary cooking extraordinary. Flavours include Chicken, Lobster, Game, Beef, Veal, Vegetable and Lamb with new additions of Duck, Pork and Wild Mushroom. Home chefs can purchase Essential Cuisine products from farm shops and Lakeland stores across the United Kingdom. I decided to try out the pork glace as a base for a healthy oriental inspired stir-fry that would make a quick mid-week supper. 250g/90z pork tenderloin, al visible fat removed, cut into strips. Heat coconut oil in wok. Add pork and cook for two minutes until browned all over. Add garlic, chill, ginger and spring onions and fry for 1 minute. 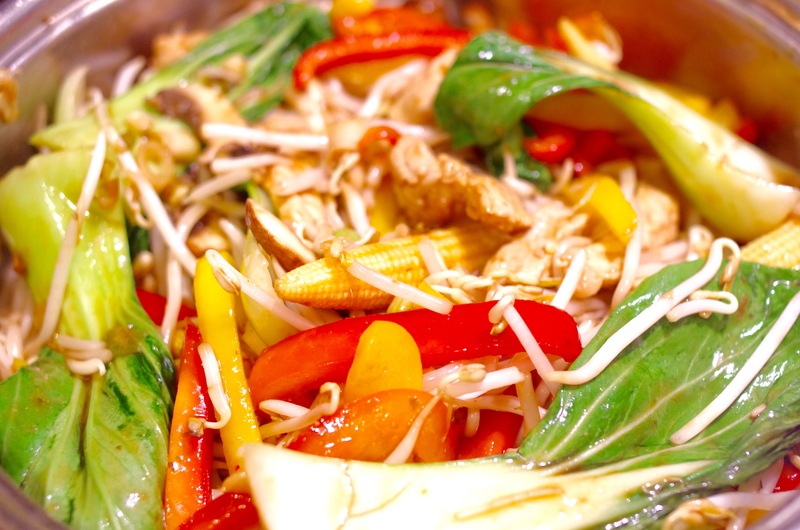 Add peppers, baby sweetcorn, mushrooms, pak choi and fry for another 2 minutes. Reduce the heat and add the pork glace, soy sauce and oyster sauce stirring and cooking until the sauce bubbles and thickens. Mix in the bean sprouts, cook for a few seconds and serve. 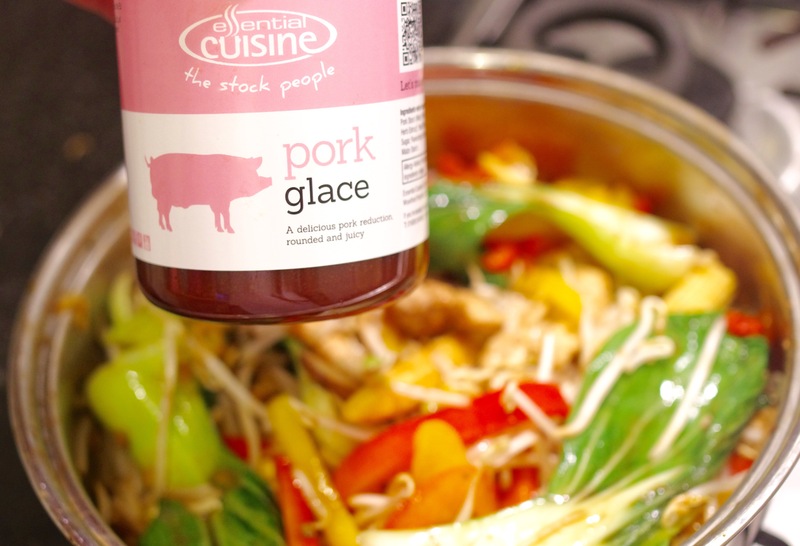 The pork glace gave a rounded juicy finish to the stir fry. If you would rather spend more time chatting with dinner guests than slaving over stocks and sauces in the kitchen then I would recommend Essential Cuisines glace range. 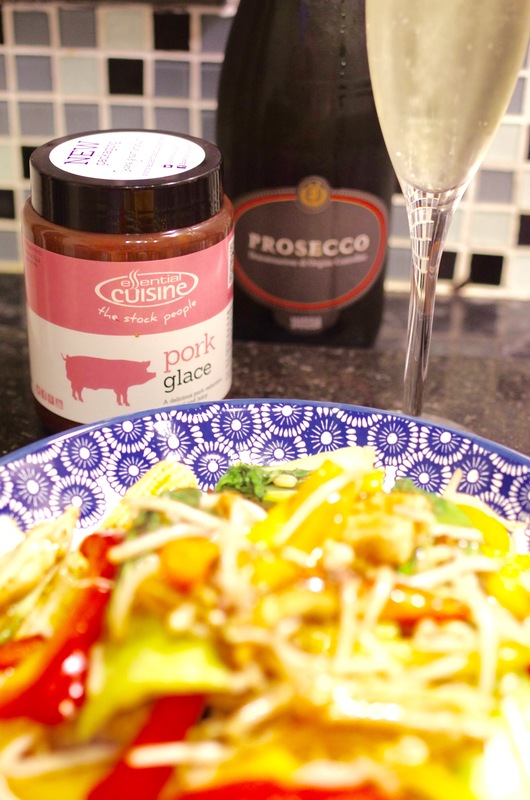 Looks delicious, especially with the prosecco! Looks wonderful! I love demi-glaces! sounds delicious…it must have been fun to be part of a focus group! hey, if you get the chance, check your email (the contact me section of your blog) because I did submit another guest post when/if you have the time/space to post it. 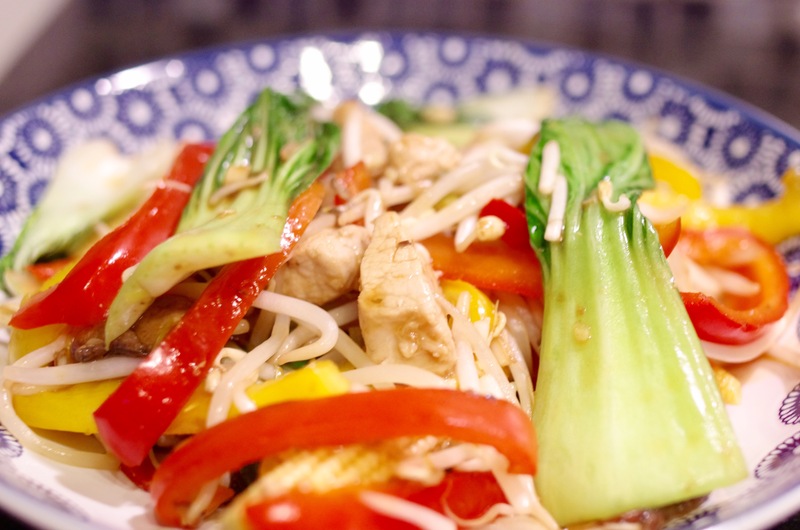 I’m all for a quick, easy, and delicious stir-fry! Looks yummy!